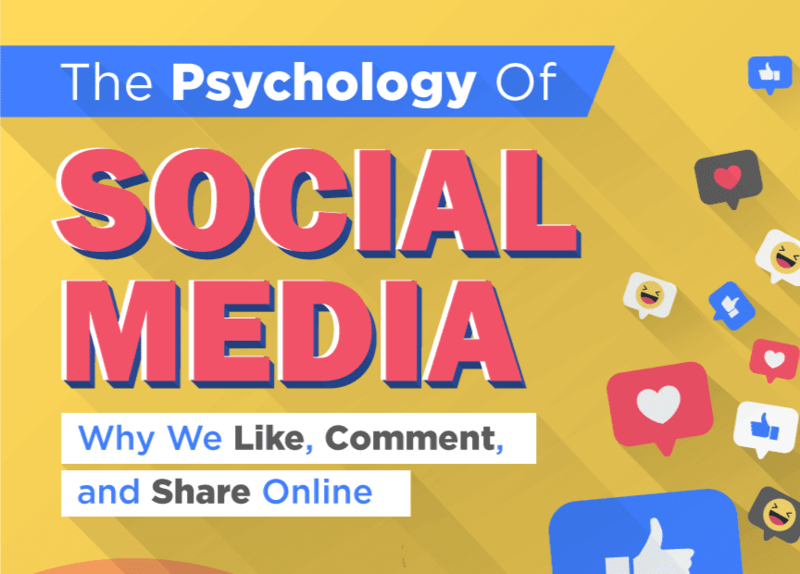 Social media affect the human psychology in unprecedented ways. They activate rewarding centers in the brain, by directly involving the concentration of dopamine in the process. For those who don't know, Dopamine is a chemical, which regulates feelings of pleasure, seek and desire in a person. Being on social networks increases the secretion of the aforementioned hormone, generating irresistible addiction. In a recent research, it was revealed that people found it easier to refrain themselves from tobacco and alcohol, as compared to social media. 60% of women admitted being addicted to social networking sites. 56% of users shared that they were afraid of missing something important online. It was also estimated, in another research, that an average person spends approximately 135 minutes per day on social media. The reason why people want to go online, and share something, lies in the psyche of letting others know of one's real self, and staying connected with the rest of the world, especially friends and family. But there are many drawbacks to this dependence as well. Users often find their self-esteems suffering in the process. Therefore, it is important to cut down the usage of these sites. For more information, see the infographic below.